Your personal fitness level has a big impact on your stroke technique and the length of your drive. Of particular importance in meeting the requirements of a long round of golf is a strong back and conditioned spine. Improvements to their golf game come to those who invest time into improving their general fitness level, and those who develop a stronger and more flexible body. Core lumbar strength machine: Lower back pain will inhibit your golf game. Putting, in particular burdens the back, with its constant requirements to bend to the ground. Training on the core lumbar strength machine isolates the lower back muscles in order to strengthen them, and a strong back is a pain-free back. Your posture will also be improved, and posture is a crucial factor in a correct golf swing. 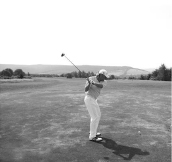 Core torso rotation machine: To hit the ball further, you have to achieve a larger angle during the swing-back between your shoulders and hips. This gives you more leverage, resulting in a higher speed. Regular training on this machine will improve your flexibility and strength. Core 4-way neck machine: Golfers with neck problems have difficulty holding their neck in the correct position. Strong musculature in the cervical spine area will help position the neck properly and improve your golf swing. 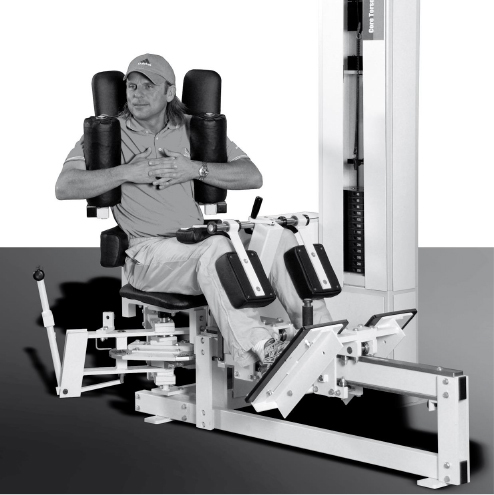 Core ab isolator machine: Strong stomach muscles support the functioning of the spine. Training these muscles will improve your balance, resulting in a better posture over the ball and during the swing. Core super stretch machine: Increases flexibility, which will help you hit the ball further.